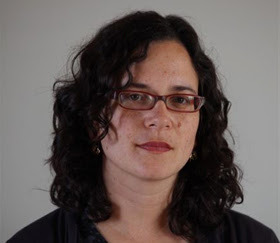 More than 2,000 people and dozens of pluralistic and feminist groups signed a petition in support of Jerusalem City Council member Rachel Azaria, who was fired from the coalition by Mayor Nir Barkat last week. “We will not tolerate an extremist group dictating the way we will live in the capital of Israel,” the petition read, which included groups such as Hiddush For Religious Freedom and Equality, the Legal Center for Youth and Adolescents, the Masorti Movement, a branch of the Van Leer Institute, Free Israel and Kolech Forum for Religious Women, among others. If Jerusalem Mayor Nir Barkat follows through on his threat to fire City Councillor Rachel Azaria from the coalition and take away her important portfolios of early childhood education and community councils, he will be declaring war on Zionist Jerusalem – the core constituents who elected him. …Rachel Azaria embodies the open, constructive, pro-Jewish, pro-Zionist, pro-Israel, pro-Jerusalem spirit Nir Barkat himself embodies. She and her party represent the majority Jerusalem sensibility needed to make the city thrive. She is a poster child for all the aspirations of Zionist Jerusalem that Barkat stirred and promised to serve. [T]here was at least one haredi city council member who didn’t hold back on expressing his opinion. A wave of media reports about discrimination against women in public spaces, politics and the army has prompted a first-of-its-kind protest – a Facebook page urging women to sing out in musical protest. But the media attention and tremendous flood of support to the event she created on Facebook quickly made it clear that this would be no small-scale protest. Have we run out of baking soda? The distance between the Israel Defense Forces and Mea She’arim is getting shorter. Although that ultra-Orthodox neighborhood in Jerusalem doesn’t have any draftees, its spirit hovers over the ranks. In both places there is a separation between women and men, between masculine and feminine areas, while the High Court of Justice says this is forbidden. How very nice of it to do so. God loves mirth – that’s a fact. Otherwise he would not have created the ultra-Orthodox, on the one hand, and gender, on the other, and ordered them to brawl with each other, in particular during the Sukkot holiday, when in fact we were supposed to rejoice more than on ordinary days. “We are dealing with all kinds of exclusion of women in the public sphere in Jerusalem,” Conservative Rabbi Uri Ayalon told The Sisterhood. Ayalon, the founder and leader of Kehilat (Congregation) Yotzer Or, is on the board of Yerushalmim (Jerusalemites), a non-profit civic organization working to build an inclusive, pluralistic city. He and others in the organization have been tracking what they call the “disappearance of women from public life” over the past couple of years. That such segregation has become increasingly entrenched in Haredi schools, synagogues and homes is, frankly, their choice. But the examples above are not in the private sphere. Buses operating on a public route, citizens walking down a public street, government-funded public safety campaigns — all should be available equally to men and women, and reflect that reality. It’s hard to believe we even have to make this argument in the 21st century, let alone in 21st century America and Israel. Yehiel, now 34, and Tamar, 28, chose one path among many to wed in accordance with Jewish law without involving the Chief Rabbinate or its local offices. Over the years there have been many secular as well as Haredi couples who have undergone so-called private weddings without a Rabbinate-approved person officiating. In recent years they have been joined by graduates of yeshivas and religious seminaries for women. MK Otniel Schneller (Kadima) expressed hope on Thursday that a bill designed to increase the use of punitive sanctions against husbands who refuse to give their wives a bill of divorce will help to significantly reduce the number of such cases. [Director Batya Kehana, Mavoi Satum] added, however, that the proposed amendment falls short of the kind of measures which would eradicate the problem altogether. Mavoi Satum initially proposed that the amendment bill would automatically impose sanctions as soon as a court instructs the husband to give a get, but representatives of the rabbinical courts rejected such a proposal. The [Israel] Religious Action Center has appealed to Religious Services Minister Yakov Margi, demanding that he order Religious Council across the country to allow all women to immerse in a mikveh (ritual bath) – regardless of their marital status. The Tel Aviv Rabbinate has removed a clause in its marriage licensing policy that forced resident couples to register for marriage in Tel Aviv. The decision follows pressure from the ITIM advocacy group and the Religious Services Ministry. Concerns had been raised that the clause was intentionally compelling couples to register for marriage with the Tel Aviv Rabbinate so that it could benefit from the NIS 600 registration fees. Rabbi Gideon Sylvester is the British United Synagogue’s rabbi in Israel and director of the Beit Midrash for Human Rights at the Hillel House of Hebrew University in Jerusalem. Religious coercion is the enemy of true religion. Forcing people to believe or practice Judaism breeds resentment and hatred. Genuine spirituality can only come when it is intelligently presented and accompanied by the warmth and loving kindness which have always been associated with Jewish life. In a rare move, the Knesset’s legal adviser has called for a broad public and parliamentary debate on a bill that would make Israeli democracy subservient to the state’s Jewish identity and no longer recognize Arabic as an official language. The U.S. State Department 2010 Report on international religious freedom for the second half of the year states that Israel continues to discriminate on the basis of religion in both policy and law, against non-Jews and non-Orthodox Jewish movements. The writer is a veteran journalist who has covered Jerusalem, Judea and Samaria. This article originally appeared as part of the Jerusalem Viewpoints series, published by the Institute for Contemporary Affairs at the Jerusalem Center for Public Affairs. It is time to put an end to the Mughrabi Gate affair, which has been blown beyond all proportion, and to speedily replace the temporary bridge with a permanent one. There is no need for stealth or covert action. It should be done openly and with full transparency, just as Israel has acted so far, while displaying consideration and sensitivity for the ties of various Islamic and Arab bodies to the site. However, a clear line should be drawn, one that distinguishes between consideration, sensitivity and respect, and the conduct befitting a sovereign nation that is obligated to manage crises, but also to reach decisions and execute them, even in the highly sensitive area of the Temple Mount. For the second time in six months, Jerusalem’s city engineer has threatened to destroy the temporary bridge connecting the Western Wall Plaza to the Temple Mount in an effort to force the Western Wall Heritage Fund to replace the aging structure. …Madeline Lavine, a private tour guide, vowed never to bring a group on the bridge again after she felt the bridge rocking and swaying while ascending with a large group last May. Philip Getz is assistant editor of the Jewish Review of Books. In a little over a decade, Birthright Israel (referred to in Hebrew as “Taglit,” meaning discovery) has become one of the most well known Jewish organizations, and its trips a rite of passage for members of the tribe. Yet a widespread misconception—that Birthright’s main purpose is to encourage participants to make aliyah (move to Israel), or at least become Zionist activists—persists, even in the minds of many alumni. …When I think back to the hikes, the discussions over dinner, and of course, the many hours on the bus, I realize that not a single Birthright staff member echoed the Prime Minister’s philo-migratory message. Only 4 percent of citizens older than 60 are considering emigration as a viable option, compared with 31 percent in the 18 to 29 age group. …45 percent of Jewish Israelis would marry a non-Jew if they had fallen in love. One can love two countries just as one loves two parents. Today, I voluntarily give up my citizenship, but I do not give up my values; indeed, in giving up my citizenship to help further the economic development and strength of Israel in a diplomatic role, I believe I am living those values I was educated to cherish. During my 10 years of schooling in wonderful Upstate New York, I pledged allegiance to the flag of the United States each and every day. And today, more than ever and despite the renunciation of my citizenship, I remain committed to the Republic for which it stands. The writer is vice-chairman of the World Zionist Organization. A Zionist organization that takes itself seriously is going to grapple honestly with the realities of Jewish life in the Diaspora and the meaning of the Jewish state for the Jewish people today. That is what the recent journey in Herzl’s footsteps organized by Habonim Dror and the World Zionist Organization was all about. Now there is Takdim, the first “Jewish Federation of Israel” founded earlier this year in the Tel Aviv suburb of Ramat Hasharon. The group – which means precedent in Hebrew – draws its inspiration from the Jewish Federations of North America, and will make its debut at the federations’ General Assembly in Denver next week, where it hopes to learn how to replicate the network’s success at home. The B’nai B’rith World Center Award for Journalism for 2011 in Memory of Wolf and Hilda Matsdorf for print media will be conferred at the event upon Bambi Sheleg, founder and editor-in-chief of the bi-monthly magazine Eretz Acheret (“A Different Israel”), for the November-December 2010 issue of the magazine dedicated to US Jewry. The 2011 NADAV Jewish Peoplehood Award has been presented to Professor Yehezkel Dror and film director Joseph Cedar. Professor Dror and Cedar received the award from businessman and philanthropist Leonid Nevzlin, Founder of the NADAV Foundation, and Irina Nevzlin Kogan, President of the Foundation. Rabbi Richard G. Hirsch, founding director of the Religious Action Center of Reform Judaism and honorary life president of the World Union for Progressive Judaism will receive one of Reform Judaism’s highest honors at the 2011 Union for Reform Judaism (URJ) Biennial convention on Thursday morning, December 15.